One activity that you must surely not miss is taking rural walks in Flintshire during a country cottage holiday. Flintshire has some of the most stunning landscapes in the whole of North Wales, such as the Clwydian Range. It is an added bonus to rent accommodation with good views and there are plenty to be found in Flintshire. Do you appreciate active self-catering breaks in Wales? Book a self-catering cottage or lodge to your taste in Flintshire then go out and about to enjoy the outdoor pursuits on offer. There are many activities that you can enjoy in the county, ranging from golf to cycling and horse riding. You can indulge in trout and coarse fishing at Sarn Mill Fisheries, Clawdd Offa Fishery, Glasdir Fisheries and Celyn Pool. Moreover, during your self catering cottage holidays, you can teach your kids ice skating at the Deeside Ice Rink, which is the National Centre for Ice Sports in the country of Wales. Besides, you can shop for souvenirs for your loved ones in the street markets of Connah's Quay, Flint, Holywell, Winefrides and Mold. You can also visit the Afonwen Antiques Gift and Crafts Centre, which is famed as the largest family run antiques gift and crafts centre in North Wales. There are many other things that you can do while enjoying a country cottages stay in Flintshire. You can visit the Ewloe Castle, Basingwerk Cistercian Abbey and the St. Deiniol’s Library, which is a Grade I listed building. Then there is Greenfield Valley Heritage Park, Dee Estuary and yellow flag beaches at Talacre. Use our search assistant to find self catering cottages on Country Cottages Online. 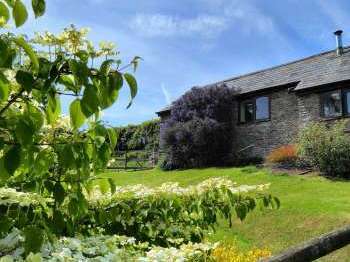 You can search for pet friendly cottages, cottages with hot tubs, cottages with pools, barn conversions, romantic cottages and more. We trust you will also enjoy looking through our Area Guide to find out more about cottage holidays in Flintshire in Wales.